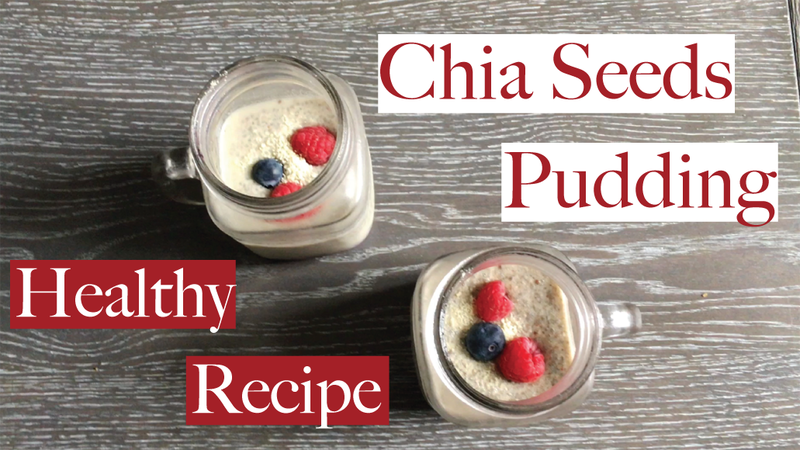 The Best Chia Seeds Pudding Recipe ! I personally bought a lot of Chia Seeds… however I never knew where and in what to put them! So for a least 4 months they were on a shelf. But now I have discover the overnight recipes and I completely love them! Also it’s a great antioxydant!! To be quick and direct this can help your skin and your overall health! Give it a try with this recipe! For the compote, put the blueberries and the orange juice in a saucepan. Put it on medium/high heat until it start create bubbles. Reduce the heat to medium/low and stir for 2 minutes. You can now add the chia seeds and stir. Take two nice glasses or little pot and pour the compote in the bottom. Into a blender add all the ingredient but the chia seeds, and blend. Now you can take the glasses out of the fridge and poor the pudding on top. Perfect! At the point you will need patience and put those in the fridge for at least 5 hours or while you sleep! After the wait just enjoy this little treat! In the morning or for dessert! For the macros it’s just above 215kcal per serving so not bad at all! !